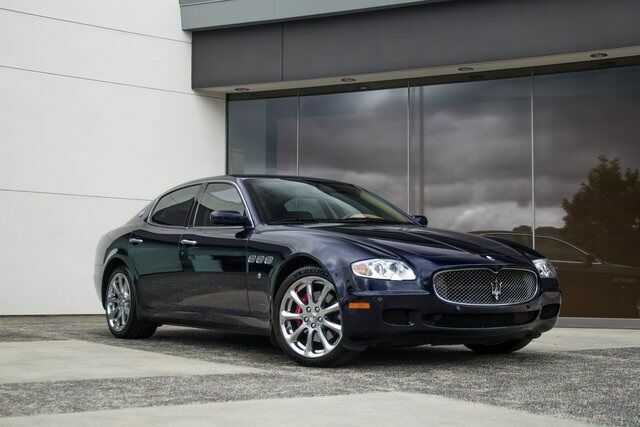 O'Gara Coach Westlake is proud to present this Maserati Quattroporte in Blue and Cuoio. Clean CARFAX. Odometer is 38188 miles below market average! Blue 2008 Maserati Quattroporte Executive GT RWD 6-Speed Automatic 4.2L V8 DOHC 4.2L V8 DOHC, ABS brakes, Electronic Stability Control, Front Bucket Seats, Front dual zone A/C, Heated door mirrors, Heated Front Bucket Seats, Heated front seats, Illuminated entry, Leather Seat Trim, Low tire pressure warning, Navigation System, Power moonroof, Power passenger seat, Rear dual zone A/C, Remote keyless entry, Traction control, Ventilated front seats.